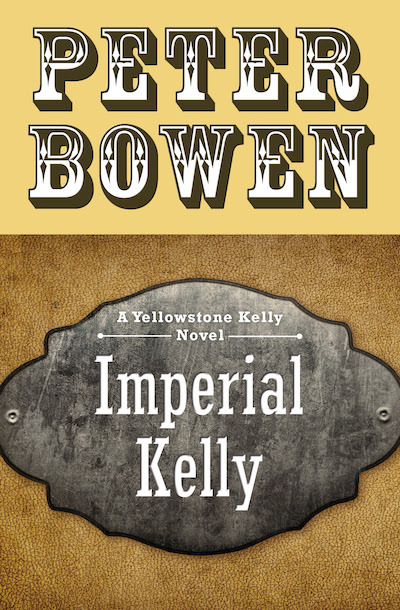 Yellowstone Kelly has dealt with Indians, Zulus, hapless Brits, and Mormons. Now the intrepid scout meets his greatest challenge: Theodore Roosevelt. Nowadays US Army Major Luther “Yellowstone” Kelly isn’t the young lively man he once was. He’s cantankerous, stubborn, and his nagging illnesses are exacerbated by the slightest provocation. Still, Kelly is called back into action by his most irritating boss yet: a young assistant secretary of the navy by the name of Theodore “Teethadore” Roosevelt. The future president needs a crew of toughs to join his Rough Riders outfit, and he correctly reckons that Kelly has an inside track on some of the nastiest ones. Kelly enlists a rascally crew, including his friends Butch Cassidy and the Sundance Kid, and helps Roosevelt win the Spanish-American War. Next an impressive piece of jade leads him over the Pacific, before he’s summoned to observe the outbreak of the Boer War. While sailing to southern Africa, he runs into Winston Churchill in Mozambique . . . and on Kelly stumbles into other areas of the history books. Whether he’s being chased by Boers or Igorote tribesmen, Kelly always maintains his trademark cynicism and resourcefulness, somehow finding a way to always land on his feet—even if Teethadore is determined to take credit for it.